The best part of the Inka Trail was, for me, when I reached the Death Woman pass and everybody up there cheered. It was a really great feeling to have done these 900m of altitude. If there would have be no rain, the arriving at the Sungate would perhaps have been better. Possibly one of the best experiences of our 4 month trip through Central and South America. We organised the trip via the companys website. 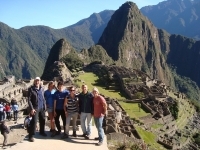 The information provided was comprehensive and we felt well informed regarding the expectations of the trip. 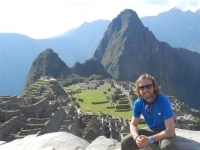 Inca Trail, 4 days. Awesome! 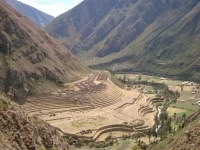 My friend and I were looking into booking a trek to Machu picchu, when a friend recommended the salkantay trek with Salkantay.org. the website was clear and easily navigable and we booked the trek. the company was great at keeping us informed of our reservation. 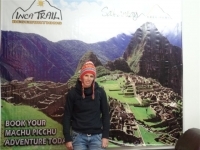 I first found out about the Salkantay trek through a friend of my sister who reccomended it for people with a sense of adventure, telling me that he thought the Inca trail was too commercial. I found that the Salkantay trek offered exactly what I wanted from my time touring Peru. 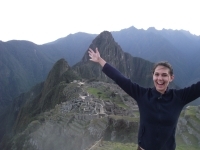 Even though I became ill, Inca Trail Reservations accommodated. 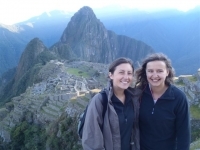 Inca Trail Reservations has been fantastic to work with. 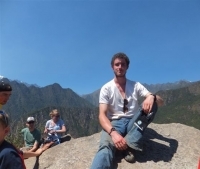 They not only have done an exceptional job at providing outstanding tours in the Cusco/Machu Picchu areas, but have also helped my group and me with all of our accommodations. 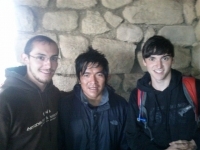 I had a great time on the Inca Trail. 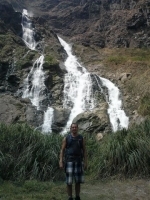 My expectations for the trek were pretty high and I found that all my expectations were fulfilled and more. 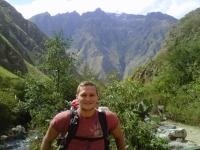 We did the Salkantay trek in July 2012.